7: and a man who remembered Allah in private and so his eyes shed tears. Some people fall into the habit of judging others by their sins while forgetting their own. They may not even think the sins they have committed are all that bad. This is a sign of weak Muslim. A believer sees his sins as if he were sitting under a mountain which he is afraid may fall on him, whereas the wicked person considers his sins as flies passing over his nose and he just drives them away like this. Of course, if you see someone doing wrong, you should advise him or her to change their behavior. But dont become arrogant or prideful because you are not committing that sin. In fact, you should reflect on the sins you have committed and turn to Allah for repentance. Who knows? Perhaps that person is doing something else that Allah loves. And perhaps you are doing something else that Allah hates. By constantly remembering and being mindful of the sins you commit, you will be more inclined to repent, change your behavior, and do good deeds to make up for them, Inshallah. People like to think that only women engage in gossip. I can tell you from experience, that is not true. Muslim men can be some of the worst gossipers and backbiters around. And this is unfortunate given how many warnings there are of such horrible behavior. How do people fall into gossiping and backbiting? By not minding their own business. These people hear a rumor or a tale, and before the next prayer comes in, they have spread it to a dozen other people. And then those people turn around and do the same thing. These are some pretty strong words coming from our Lord condemning this behavior. So, rather than mind other folks business, and spread rumors, tales and gossip, how about we just tend to our own affairs? Are they not complicated enough to keep us busy for a lifetime ? This goes hand in hand with the previous habit. Whereas Habit #2 was just to mind your own business and not say evil, Habit #3 is encouragement to say good. Anyone who believes in Allah and the last day, should speak good or keep quiet. There you have it. Advice directly from the Prophet (peace be upon him) telling us to say something good or shut up. I dont mean to put it so bluntly but thats the gist of it. Rather than complain, be grateful and praise Allah for what you have. Rather than be boastful, once again, be grateful and praise Allah for what He has given you. Rather than criticize, advise and compliment on the good someone does. Have you ever noticed how a negative person, who always has negative things to say, also seems to always bring a negative feeling with them? It’s like negativity is contagious. They are always complaining, nagging, and criticizing. When you think about it, saying something good is really not all that difficult. When you’re about to say something bad or negative, try to think of something good (or at least neutral) to say. And if you cant, just shut up. If you want to fulfill the previous three habits, you should be around people who want the same. You’ll find yourself very ineffective if you are always surrounded by people who think they are better than others, are always minding other people’s business, and cannot say good. So if you are serious about becoming an effective Muslim, you should take a close look at the people you spend time with. If you can convince them to change their ways, that is best. But if not, maybe it’s time to find new friends. Once again, the Messenger of Allah (peace be upon him) is giving it to us in a clear and beautiful manner. If you hang around good people, that goodness will rub off on you. If you hang around negative people, that same negativity will rub off on you, and may eventually lead you astray. So if you don’t want to get burnt, find some good friends. 5. They Do Not Procrastinate (To postpone or delay needlessly). How many people owe days of fasting from the last Ramadan but put them off for months? Some people have to rush to get these days in just weeks or even days before the next Ramadan begins. How many people have money and the health to make Hajj but wait years and years to make it? Some people wait until they reach old age and have to to visit the Kaaba with multiple illnesses and difficulties. How many people routinely procrastinate in making their daily prayers ? The best of these procrastinators rush to get their prayer in before time is out. The worst completely miss the prayers due solely to procrastination. Procrastinating in your daily duties is bad enough. Please dont procrastinate with the orders of Allah. Well, there you got it; straight from The Creator. If you put your trust in Allah, then He is all you need. We often fall into the trap of putting our trust in the creation. We ask help from people who cannot help us. We complain to people who have no authority. Instead, we should seek help and complain to Allah Almighty. Of course, if you do need assistance and you know of someone who has the ability to help, it is okay to ask them for help. But understand that whatever help they can provide ultimately comes from Allah. After all, even that person may let you down. But if you put your trust in Allah, He will never let you down. This is the most important habit of them all. If you do not remember Allah, you will not think of your own sins and seek repentance for them. If you do not remember Allah, you will not try to avoid His punishment by minding your own business without falling into backbiting and slander. If you do not remember Allah, you will not try to seek His favor by saying what is good. If you do not remember Allah, you will not seek out good company who are also focused on remembering Allah. If you do not remember Allah, you will never be able to put your trust in Him and will always look for help from those who can do you no good. These are not the only things we can do to become effective Muslims. 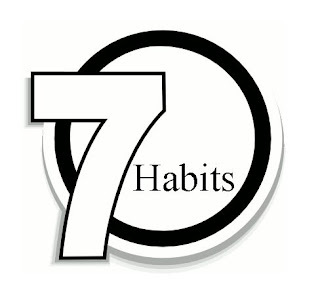 I am sure you can think of many more habits that will bring you closer to Allah and improve your daily life. But these seven habits of highly effective Muslims is a great place to start. May Allah make it easy for you and me to implement these habits every day of our lives.